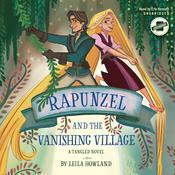 Rapunzel craves adventure and longs for experiences outside the walls of her kingdom. So when she embarks on an epic journey to save Corona with the people closest to her, she’s surprised to discover it’s not quite as enjoyable as she thought it would be. Bumps in the road cause tempers to flare, and Raps can’t even seem to get a self-portrait right. Plus, her best friend, Cassandra, grows more and more frustrated whenever they veer away from her itinerary, and Rapunzel’s boyfriend, Eugene, feels he’s not being taken seriously. 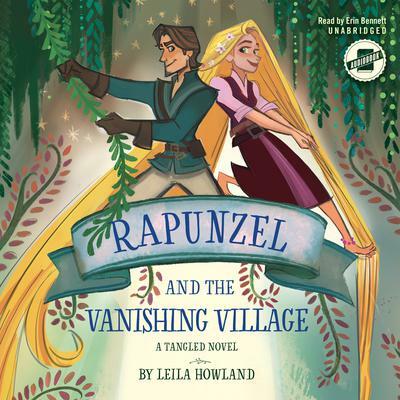 But when the group discovers an idyllic village said to be the birth place of the Flynnigan Rider books, they agree to make an unplanned stop. And soon it becomes clear that there is more to Harmony Glen than meets the eye: something or someone is determined to wipe it off the map for good. Will the heroes be able to work together to solve the mystery of the vanishing village before it’s too late? 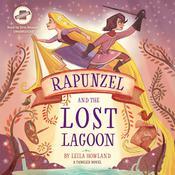 Leila Howland’s second original tied to the hit Disney Channel show, Tangled the Series, features an all-new adventure starring Rapunzel, Cassandra, and fan-favorite Eugene! Leila Howland grew up in Providence, Rhode Island, graudated from Georgetown University, and spent five years acting in New York where she was a company member of the award-winning Flea Theater in Tribeca. She is the author of the several novels for young adults, including Nantucket Blue, for which she was named a Publishers Weekly Flying Start author.